The suspect in a deadly knife attack in central Paris on Saturday evening is a French citizen born in 1997 in Russia's republic of Chechnya, sources say. Later on Sunday, a judicial source said that a friend of the suspect had been detained for questioning in the eastern city of Strasbourg. The suspect was not carrying any identification papers and has not yet been officially named. 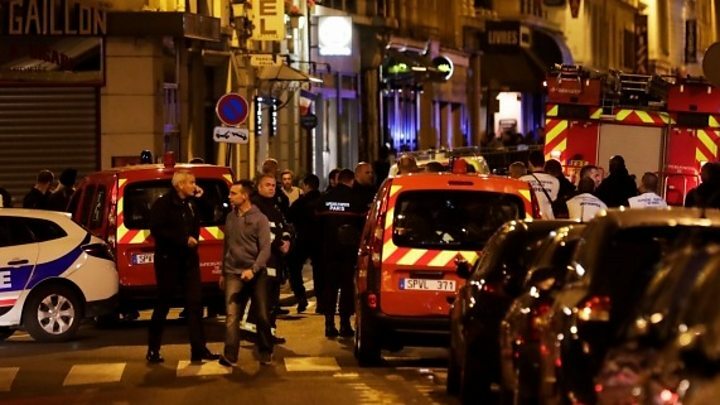 Sources told French media the man had no criminal record and his parents had been held for questioning. He is believed to be a French citizen who was naturalised in 2010. The man had been categorised as "fiche S", the sources said. This flags people considered to be a possible threat to national security and allows for surveillance without being a cause for arrest. It includes those suspected of Islamist radicalisation but is wide-ranging and covers such groups as political extremists, gangsters and even football hooligans. In 2015, then Prime Minister Manuel Valls said there were 20,000 names on the list, about half related to Islamist radicalisation. This would be the first time an assailant of Chechen origin has carried out a terrorist attack in France. France is home to some 30,000 people of Chechen origin. Interior Minister Gérard Collomb said the man who died was a 29-year-old passer-by but gave no further details. The four who were injured have also not yet been named. AFP news agency, citing sources, said a 34-year-old man and a 54-year-old woman were seriously hurt, while a 26-year-old woman and a 31-year-old man were slightly wounded. One of the injured was a Chinese citizen, Chinese media have reported. Mr Collomb said none had life-threatening injuries. 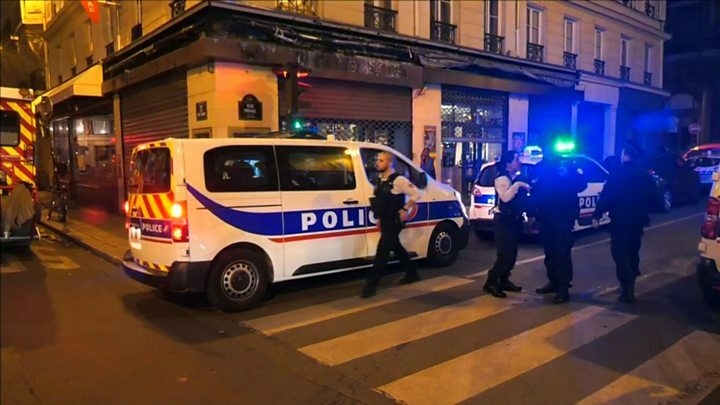 The attacker began stabbing passers-by at about 21:00 local time (19:00 GMT). He shouted "Allahu Akbar" (God is greatest) during the attack, witnesses said. The man tried to enter several bars and restaurants but was blocked by people inside. Police first tried to stop the assailant with a Taser before shooting him dead, nine minutes after he began the attack. He said a woman, stabbed by the attacker, had run into into the restaurant bleeding. The assailant tried to follow her inside but was fended off and finally fled. IS said it was behind the attack in a brief statement posted on its news outlet. How are IS and Chechnya linked? Chechnya is a republic in the North Caucasus region of southern Russia. The republic declared independence in 1991 but three years later Russian troops were sent in to quash the movement, sparking a decade-long conflict. Jihadist groups, including those aligned with IS, have long operated in the region. The brothers behind the Boston Marathon bombing in 2013, Tamerlan and Dzhokhar Tsarnaev, had Chechen links and Turkish authorities said a Chechen jihadist was the suspected organiser of an attack on Istanbul airport in 2016 that killed 45 people. The jihadist, Akhmed Chatayev, a member of IS, was killed in a clash with special forces in the Georgian capital Tbilisi in 2017. IS has actively recruited fighters in Chechnya, sending hundreds to conflicts in Syria and elsewhere. A report from the BBC's Sarah Rainsford in 2016 spoke of the fear that the fighters would return to carry out terrorist attacks at home. Strongman Ramzan Kadyrov, who was nominated for the Chechen presidency by Russian President Vladimir Putin in 2007 and is now firmly in control, has tried to halt IS recruitment but human rights activists say his measures have been brutal and have often helped radicalisation.